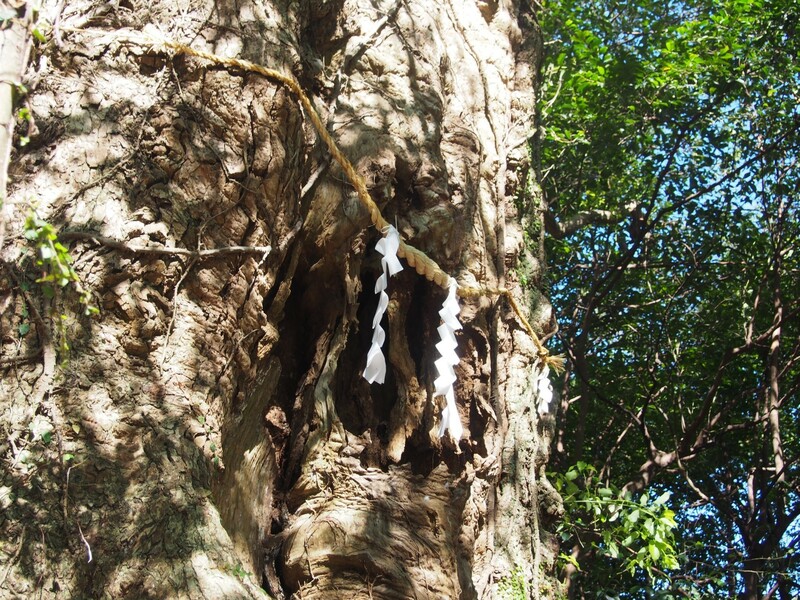 NITTA SHRINE – Praying Safe Birth of Child & Worship Japanese Emperor’s Ancestor “NINIGI” | Kagoshima Love! My wife has been pregnant for 4 months as of October 2015. She has been very sick in August, but has recovered greatly and regained her strength. 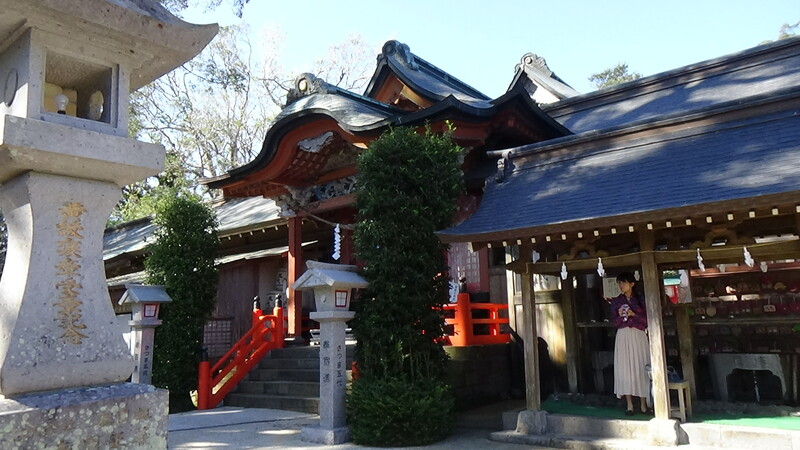 In order to pray for safe birth of child and health of my wife, I took her to Nitta Shrine in Satsuma-sendai City, in Kagoshima Prefecture, Japan. The shrine is famous as the shrine for safe birth of child. 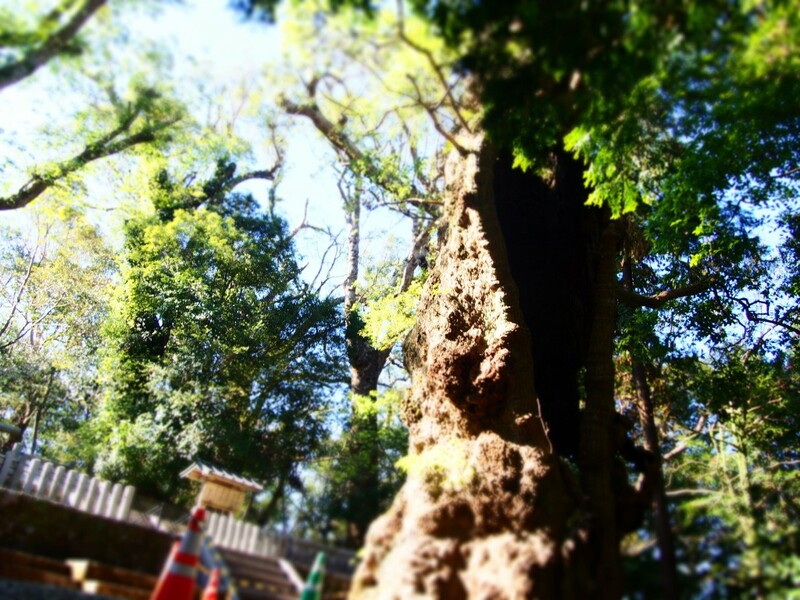 We found a great camphor trees in the middle of stairs. We finally arrived the shrine building after taking long stairs. 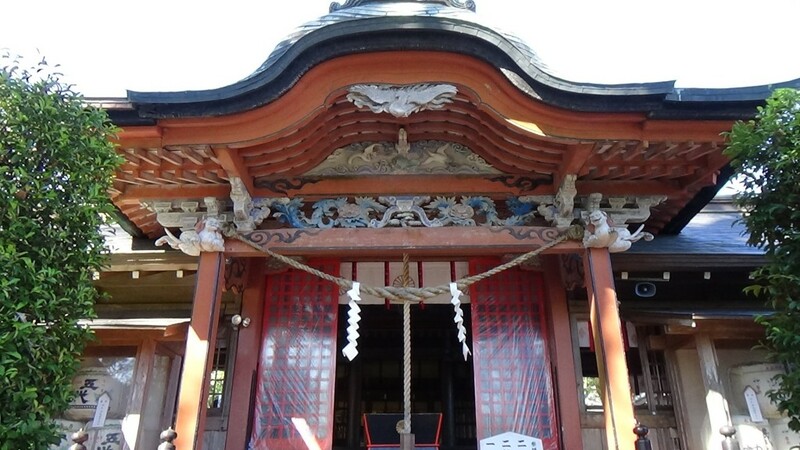 The shrine worships the ancestor of Japanese emperors. The God is called Ninigi. 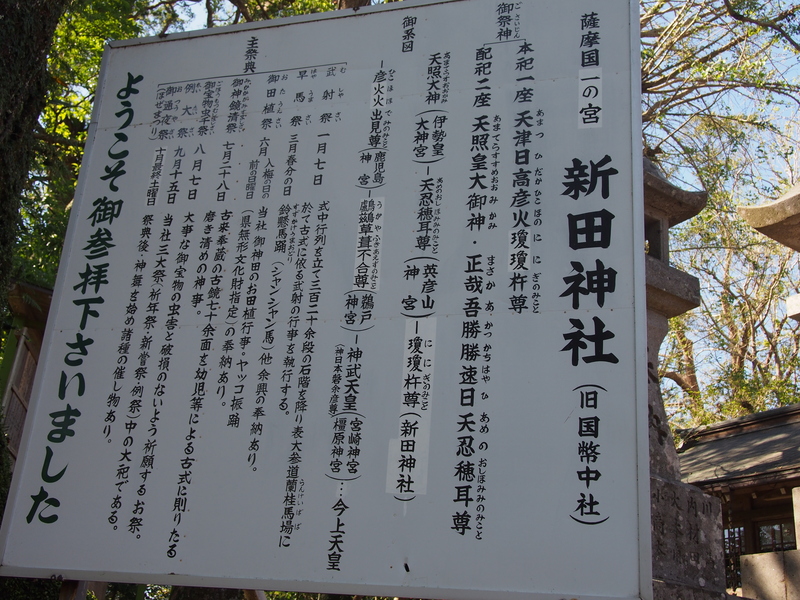 The explanation board tell you the family tree from Amaterasu (the 1st God of Shinto religion) through Ninigi (Amaterasu’s nephew) to Kinjo Emperor (Present Japanese emperor). My wife and I are interested in Japanese history, especially era of creation of Japan. So, we both like the shrine very much! 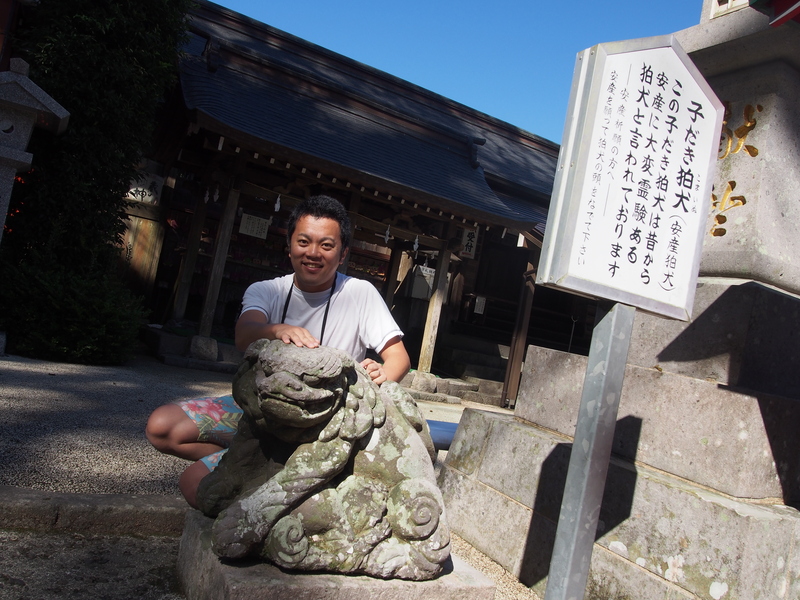 2 dog statues (Komainu) welcomed us after we climbed long stairs. The face of the dog is very scary, isn’t it? 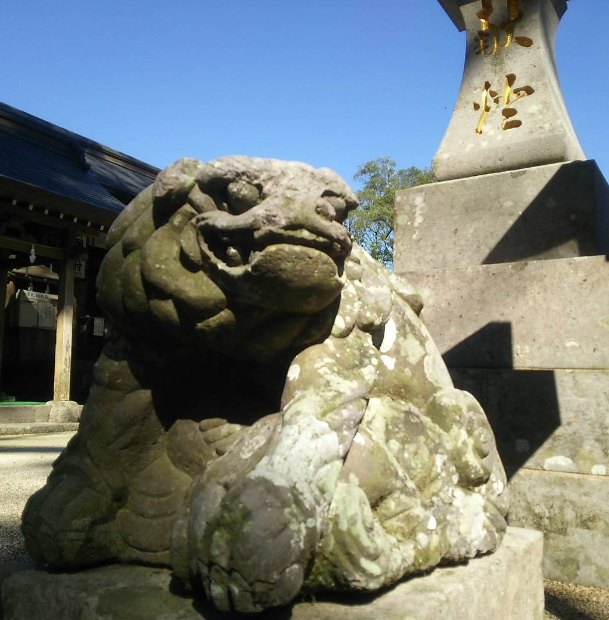 From the ancient time, Komainu has been believed to keep away evil spirits and placed at the both sides of the gate of Japanese emperor’s castle and shrines as guardians. If you watch at the following picture closely, you will notice that Komainu is hugging a baby. It is cute, isn’t it? If you rub the head of Komainu, your baby will be born safely. 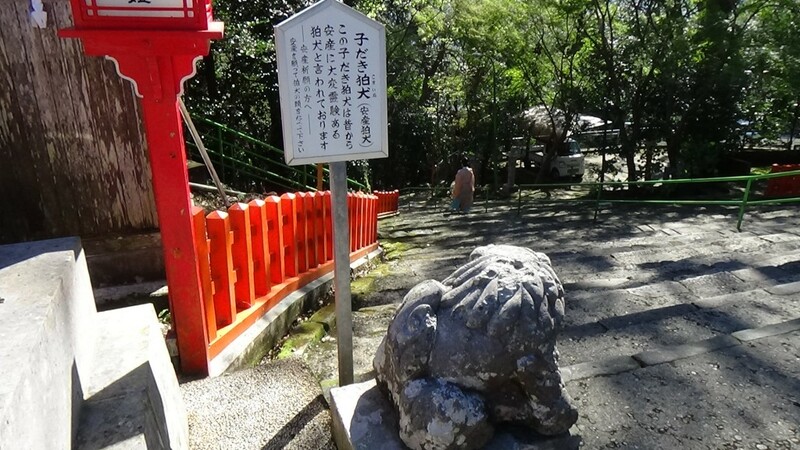 Many visitors rubbed the heads of Komainu for many years and their head are worn out. We were sorry for rubbing their worn-out heads. I hope Komainu brings us good luck and safe birth of baby! I chose a good luck charm of safe birth for my wife. After that, I received a sacred seal (“Goshuin” in Japanese) of Nitta Shrine. 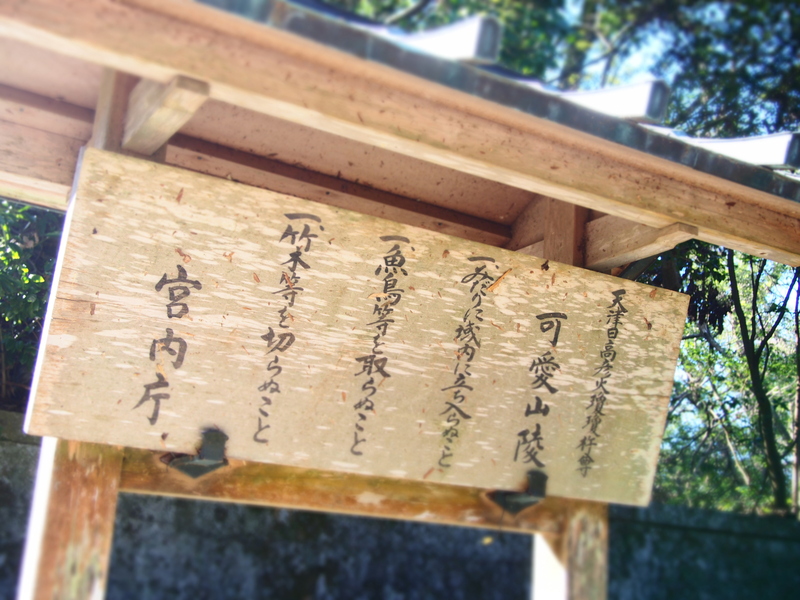 In the past, a shrine priest give worshipers the Goshuin as the proof that they prayed at the shrine. I strongly hope that the Goshuin will be my wife’s help for safe birth. 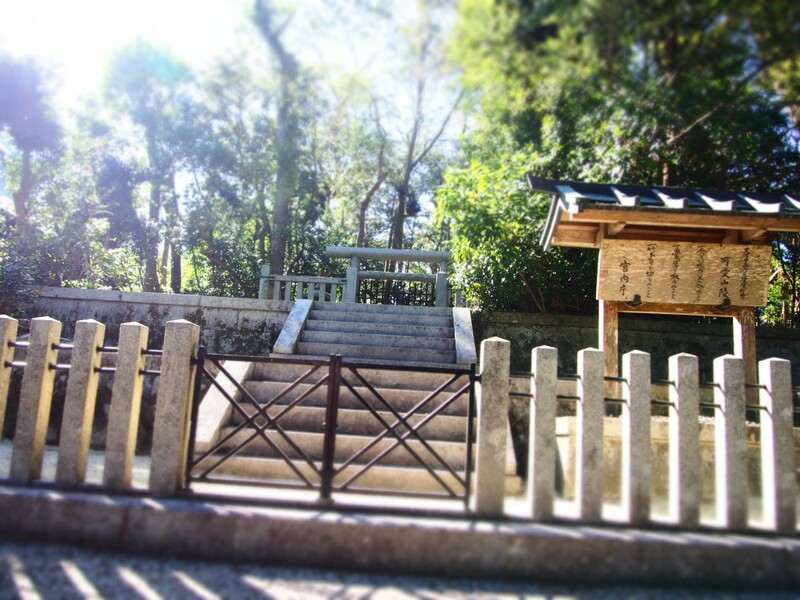 There is the tomb of Japanese Emperor’s Ancestor behind the Nitta Shrine. The tomb is only 50m from the shrine. 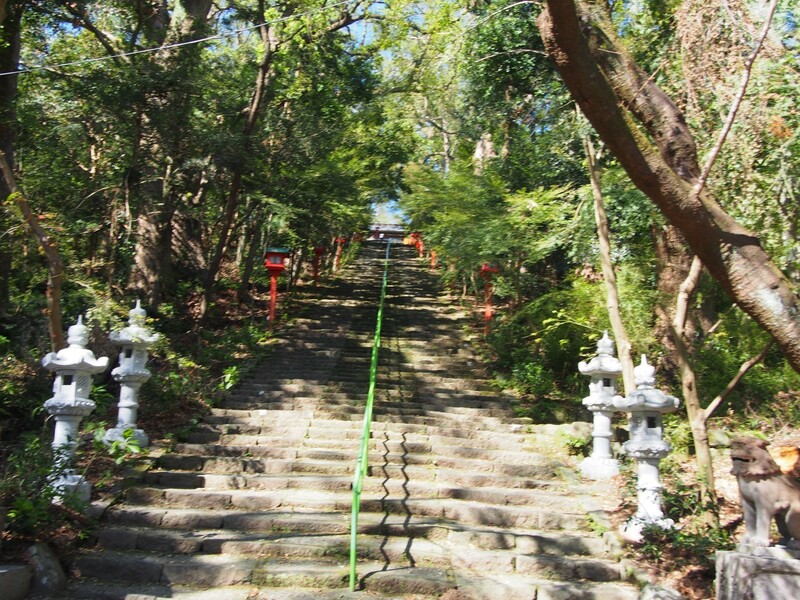 The tomb is that of Ninigi, who landed Japan from the heaven and started Japan’s history in accordance with the order of his aunt Amaterasu. It is not allowed to enter the tomb, but the air surrounding the tomb is full of something spiritual. 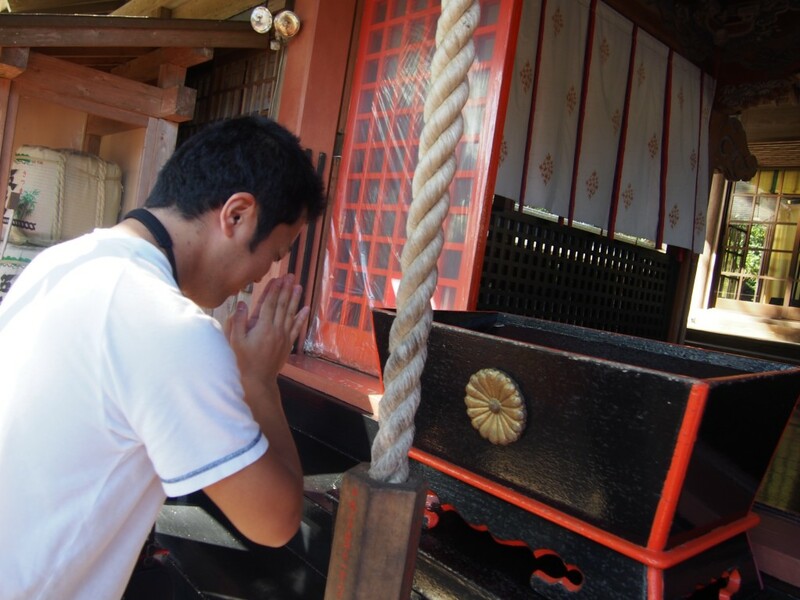 The tomb is very important in Shinto religion. So, the Japanese Government (Imperial Household Agency) directly administers the tomb. 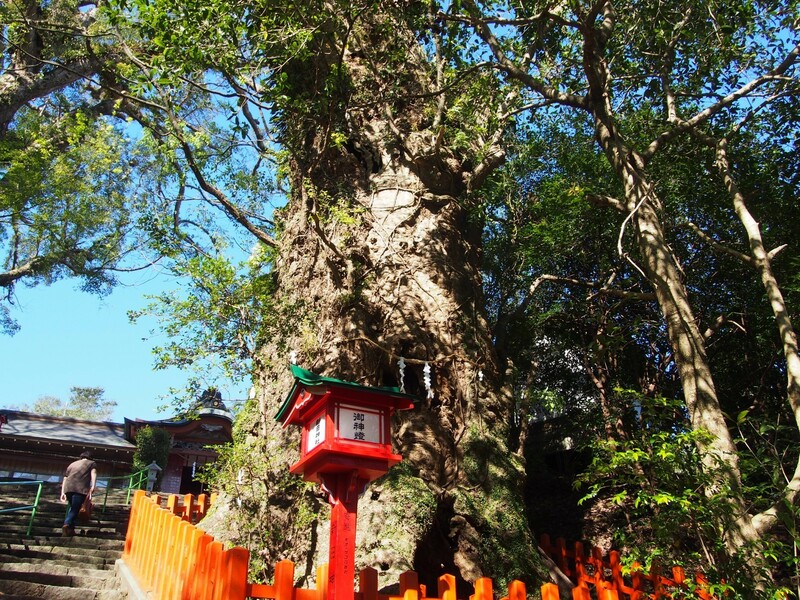 We found a huge Camphor tree in front of the tomb of Ninigi. 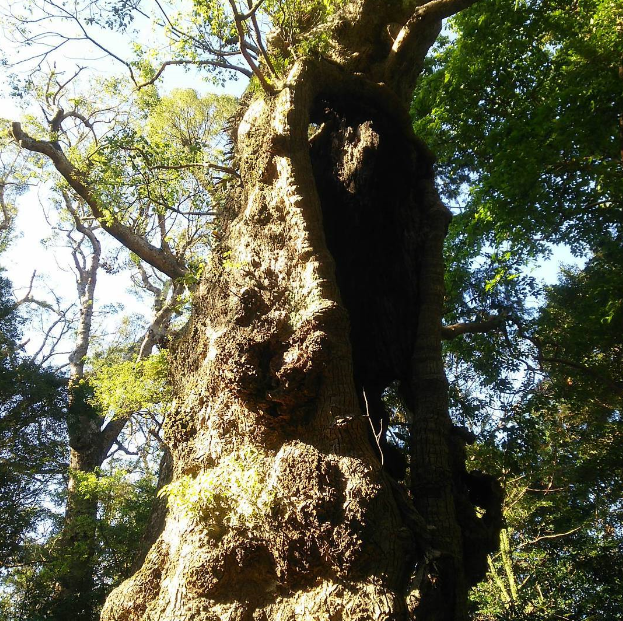 The tree has a large hollow inside as if cover and protect the sacred spirit of Ninigi inside. I feel the spirit of Ninigi is inside the tree. My wife took the picture of the same tree, too. She is much better at taking photo than I am. When we are leaving Nitta Shrine, we discovered a small kitten in the shrine garden. The cat is so cute that we are so happy! ・Take the city-bus (Kurukuru Basu) from JR Sendai Station. Eastward bus is convenient. 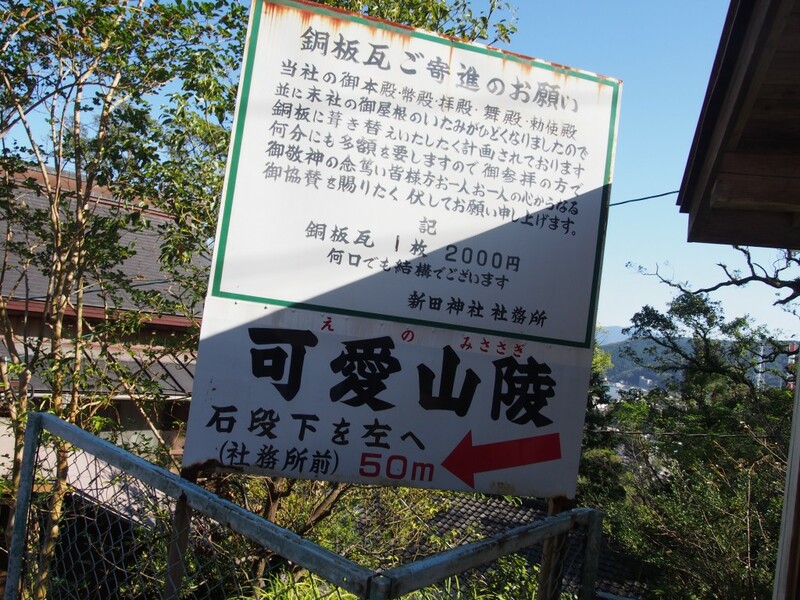 ・Walk 7 minutes from Kamisendai Station of Hisatsu Orange Line. Old Japanese Leisure! Physical Power Competition! Can you lift up over 100 kg stones?